The Crest LU (Lace Up) is a shoe for beginners looking for performance without the big price tag. 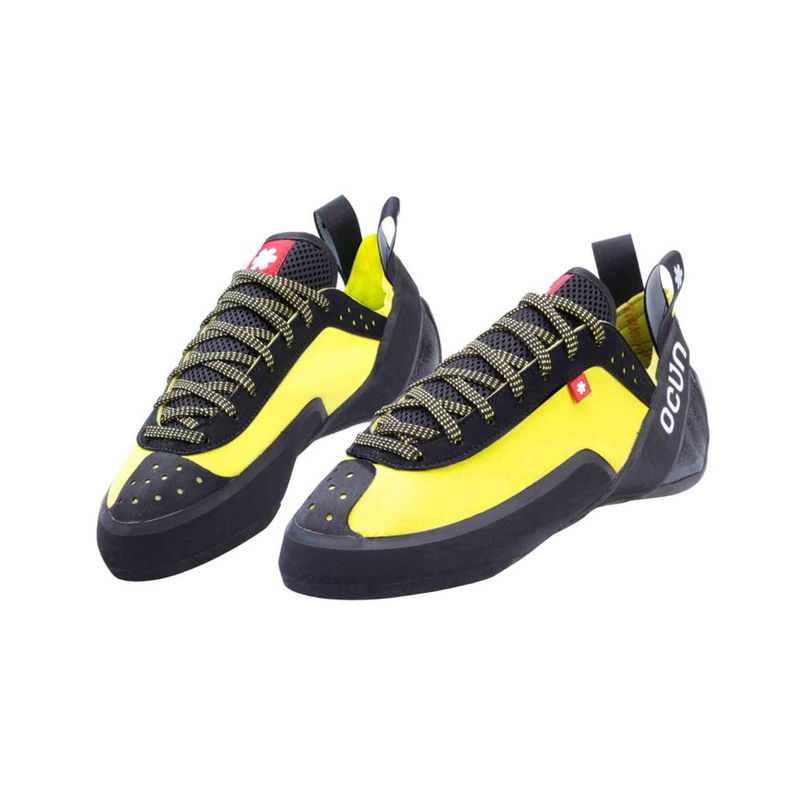 The lace up closure means these shoes provide a more customisable fit and more support but are still super comfy for all day climbing. The Grippin Dura rubber sole is designed specifically for durability to give climbers the best value for money. A neutral shape and low asymmetry keep the shoe in a natural position to best aid foot strength development. The small patch of toe rubber allows for technical toe-hooks should you favour bouldering. It was designed for extreme durability. This compound combines important features of friction, edging and stability. Due to balanced mixing of all we have come up with great rubber with universal features and long-lasting lifetime. I bought these as side shoes, so my expensive shoes don't get holes that fast. The rubber seems durable, however it is not very good for edges, because it bends pretty easily. They really comfortable, it almost seems if you're wearing sneakers. The shoe itselve doesn't look very durable, but i only climbed on them once and we just have to see how long they last (normally the problem is holes in the rubber, and this seems to be fine). Also the toepatch is actually pretty good for toehooks. I bought a size 40 for a 41 eu normal shoesize. Bought these for use at my local climbing gym mainly but I'm only a beginner yet so going forward who knows! Good shoes from what I can tell, will easily do for what I need them for.